Sirenia band timeline/ Sirenia is a Norwegian gothic metal band from Stavanger, Norway. In January 2001, Veland, a founding member of Tristania left the band, within a few weeks Veland had a new band along with three other members. He had written material for Tristania’s next release but because of the split, he used it towards Sirenia’s debut album At Sixes and Sevens with other new material written for it as well. The band entered the studio by November or December 2001. The band failed to find a suitable singer prior to recording in France, so they hired a session female singer named Fabienne Gondamin. At Sixes and Sevens is the debut studio album by the Norwegian gothic metal band Sirenia, and their only album featuring the vocals of French singer Fabienne Gondamin. The album Sirenian Shores follows in the same vein as the previous At Sixes and Sevens but includes a new female vocalist, Henriette Bordvik. A large number of the songs are concerned with mental conditions, be it depression (“Voices Within”), drug use (“Euphoria”) or thoughts of suicide (“The Fall Within”); of course, the meanings of all of these songs are subject to further conjecture. 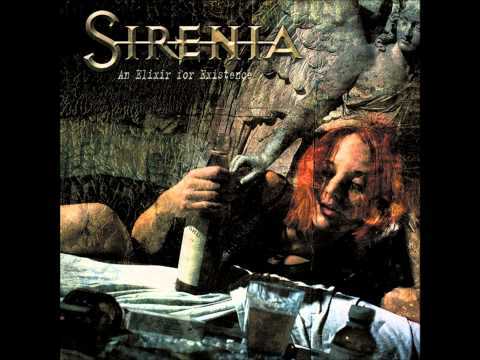 EP by the Norwegian gothic metal band Sirenia. It includes a remix of “Save Me from Myself” (from the second album An Elixir for Existence), an acoustic version of “Meridian” (from the first album At Sixes and Sevens), and three new songs: “Sirenian Shores”, “Obire Mortem” and a cover of Leonard Cohen’s “First We Take Manhattan”. On 5 November 2007, Monika Pedersen quit the band over musical disagreements. Her departure caused Sirenia to pull out of a planned European tour with Therion. On 9 April 2008 Sirenia announced Spanish X Factor contestant Ailyn as their new female vocalist. On 19 May 2008, it was announced that Bjørnar Landa left the band in order to have more time for his family and studies. He was replaced by Michael S. Krumins (Green Carnation). On 12 June 2008 Sirenia announced that for the first time in their career, they had decided to work with a bass player for their live shows. The session bass player will be Kristian Olav Torp.